California has many different ecosystems which support an immense variety of flora. 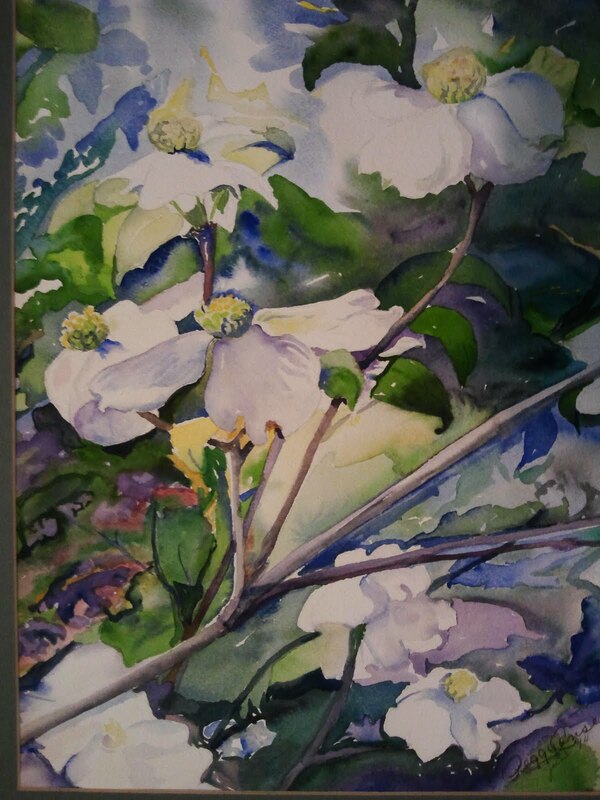 Surprising to me, pockets in the San Bernardino Mountains in Southern California have gorgeous Pacific Dogwood. On a visit in 1991, Lisa and I took my mother on a hike near Lake Arrowhead to visit a an area with many beautiful dogwood. From photographs she took during several visits to the grove, this beautiful watercolor was created. This colorful painting was the first my mother gave Lisa and me. It proudly hangs in our home reminding of the foggy walks we took through these beatiful mountain groves.